A fisherman near Rye Harbor found what may be a large prehistoric tooth. 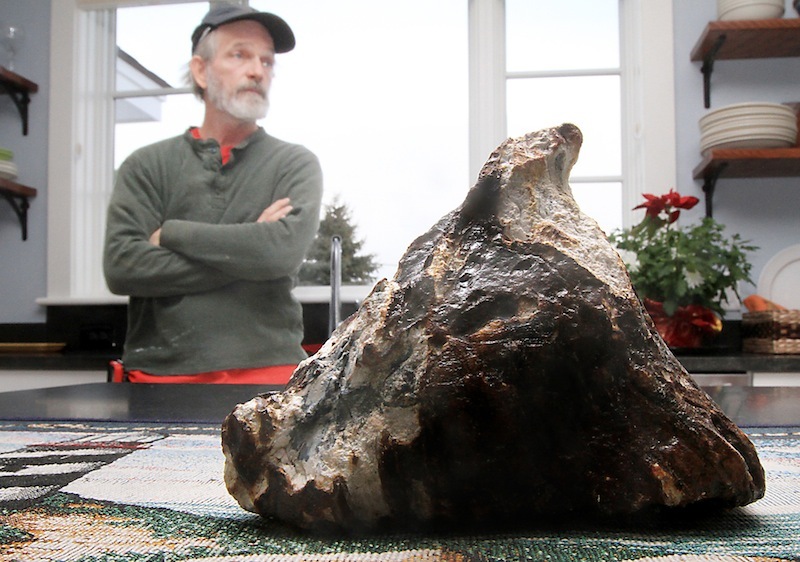 RYE, N.H. — A New Hampshire fisherman has discovered whale vertebrae, porpoise skulls and an old fuel tank that he thought was a treasure chest. Now, he may have hit the big time: a possible mammoth tooth. Mike Anderson of Rye was fishing for scallops near Rye Harbor on Tuesday when he winched up the dredge he trawls behind his boat and noticed a 6-inch, triangular object amid the scallop shells and rocks. “We knew right off it was a tooth because it has a nerve at the top,” he told the Portsmouth Herald. Will Clyde, a University of New Hampshire associate professor of geology, said it may be a fossilized mammoth tooth. He said mammoth and mastodon bones have been dragged up before in nearby waters, although they’re more commonly found in the western and southern parts of the country. He wants to take a closer look, he told Anderson’s co-worker, Shane Nicols, in an email. But closer examination will have to wait. Clyde is in Argentina on sabbatical until June. Anderson said he pulled the odd object from a depth of about 120 feet about eight miles south of the harbor. He said it was the weirdest thing he has ever snared, although previous finds include whale vertebrae and porpoise skulls. He also has found the body of a drowned kayaker. Anderson said he would really like to find a tusk next.